The two big desserts when I was growing up were – Baked Custard and Creamed Rice. My father hated creamed rice, so Mum certainly never made this recipe. Can’t say I’m a great fan of it myself, but I think adding mangoes, whipped cream and meringues definitely makes it more appealing. 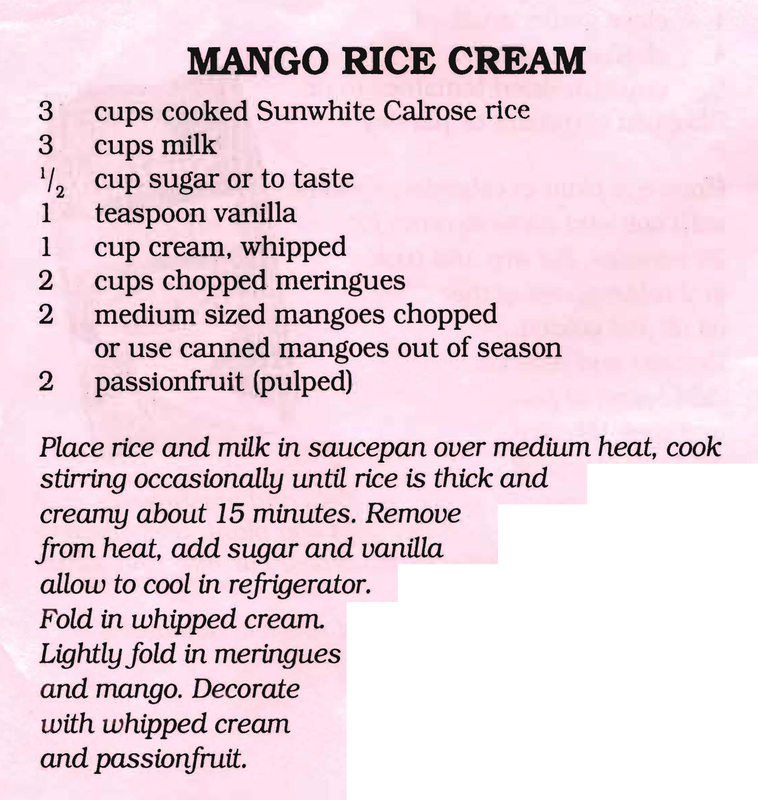 This entry was posted in Desserts and tagged 2000s, mango rice cream, mangoes, meringues cream, milk, passionfruit, rice by bebsrecipes. Bookmark the permalink.